Firefighters responded to a residence on Oregon Avenue after a 911 caller reported a fire at the location, officials say. SCPD are investigating a house fire that killed a man in Medford. Medford, NY - December 11, 2018 - Suffolk County Police Homicide Squad and Arson Section detectives are investigating a house fire that killed a man in Medford on Tuesday, December 11. Fifth Precinct police officers, firefighters from Medford and North Patchogue, as well as Medford EMS, Patchogue Ambulance and Farmingville Ambulance, responded to a residence on Oregon Avenue at approximately 10:30 p.m. after a 911 caller reported a fire at the location. After the fire was extinguished, the body of an adult male was located inside. 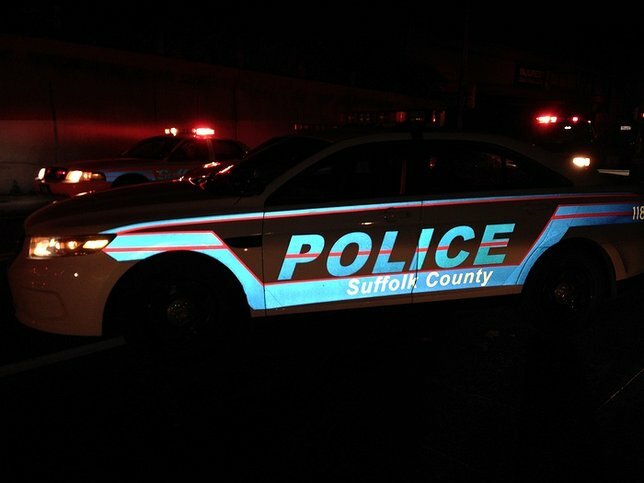 The man, believed to be a resident of the home, was pronounced dead at the scene and his name is being withheld pending positive identification by the Office of the Suffolk County Medical Examiner. Two firefighters were transported to Long Island Community Hospital in East Patchogue for treatment of minor injuries. The cause of the fire is under investigation by Arson Section detectives. Subject: LongIsland.com - Your Name sent you Article details of "Man Killed in Medford House Fire, According to Authorities"